Where can I find an auto lender if I have bad credit? What or which lender will qualify me with a FICO score of 644 TU EQ EX for a $36,000 auto loan? With $0 down payment? What is the minimum-maximum $ amount if down payment is required? Yes willing to put down payment up to $10,000. No co-signer. You need more than a credit score and down payment to qualify. Review your credit report and clean up any problems. Finding an auto lender if you have bad credit is difficult, but not impossible. Let’s start with the lender’s perspective. You mentioned a 644 FICO credit score at Equifax, Experian, and TransUnion, and implied it is an undesirable credit score. Fair, Isaac & Co. created the FICO score software, and collects a fee each time someone receives a FICO score. FICO scores range from 300 to 850, and a score of 680 or above is considered prime. Prime borrowers receive offers with lower interest rates and fees than someone with a score of less than 680. Your score of 644 places you in a credit range called Alt-A, which is not as good a prime, but is better than sub-prime. Different lenders view loan applicants in Alt-A differently. Some lenders are conservative, and have a hard-and-fast rule that prevents them from even considering anyone less that 680. Other lenders embrace Alt-A borrowers and see them as a vast and lucrative opportunity for high-interest, high-fee loans that carry a bit more risk than prime loans. Other lenders vary their policies towards Alt-A borrowers over time. Banks and credit unions usually do not advertise their underwriting rules, including the minimum credit scores they will approve. A consumer’s beast choice is to shop around, comparing the rates offered by different lenders. Not every lender looks at things the same way, so continue shopping if the first lender says no. Your credit score plays a big part in the type of auto loan you can get. Make sure that you know what kind of credit you have, before you start shopping. Get your credit report with your credit score during a free trial period. Several companies offer credit scores. Fair, Isaac’s FICO is the one used most often by lenders today. A FICO credit score consists of five factors, including payment history, total debt and available credit, length of positive history, credit mix, and recent credit applications. Paying your bills consistently and on time pushes your score upward. Missing payments or making late payments drags your score down. Delinquent payments have an immediate and strong impact on a credit score. However, the impact one delinquent payment makes on a credit score has less impact over time. The number of accounts you may have in collections, or bankruptcy filings counted here. Time heals all wounds to a credit score. Better, though is paying your bills on time consistently. This compares the amount of debt you have compared to the total available credit on your accounts. If all accounts are maxed out, creditors will view you as a poor credit risk because it appears you struggle to pay off the debt you already incurred. The rule of thumb here is to keep your credit utilization as low as you can. How low is that? No one outside of Fair, Isaac & Co. knows because no one authoritative has ever stated where the OK/Too-Much threshold lies. Here, less is more seems to apply. The longer a consumer maintain accounts in good standing, the higher your score will be. Fair, Isaac & Co. seems to believe if a consumer has a long-term relationship with one or more creditors in good standing, this indicates the consumer will act similarly to other creditors in the future. Several different types of credit, such a charge cards, consumer loans, and secured debt, increase a consumer's credit score. Too much of one type of credit, such as all department store cards, can lower a credit score. Applying for too much new credit in a short time period indicates the consumer could be desperately trying to keep their head above water. FICO makes an exception for people who apply for the same time of loan, such as a vehicle loan, over a matter of a few days. The theory here is people shopping for a loan should not be penalized and are not showing potentially risky behavior. First, look at your credit score and try to determine why you have a 644 score. Go to AnnualCreditScore.com and get a no-cost, no-gimmick copy of you credit report. Repair your credit by disputing any inaccurate negative items. Second, you asked about the minimum down payment for a vehicle loan. The only rule here in auto lending is there are no rules for down payments. Customarily, lenders want to see a minimum of a monthly payment as a downpayment, but putting down more may cause the lender the reduce your interest rate. Ask each lender you contact about its policy for downpayments. You may serve yourself better by putting down less and keeping $5,000 or $6,000 in savings for unexpected emergencies. Third, you mentioned a co-signer. Whether lenders want a co-signer depends on two factors you did not mention in your message. Income History: How long have you worked for your current employer or worked in your field. If you worked in your field continuously for two years, lenders will view this positively. If you cannot demonstrate a consistent income, then regardless of your credit score or other positive factors, lender will view this negatively. Debt-to-Income Ratio: Tally your monthly debts and income. If your debt-to-income (DTI) ratio is in the 30% range or lower, creditors will view you as a positive risk. If you have a high DTI, however, you will be seen as a high credit risk. If you have a high DTI, use some of that $10,000 downpayment to reduce you debt load. Struggling with debt? 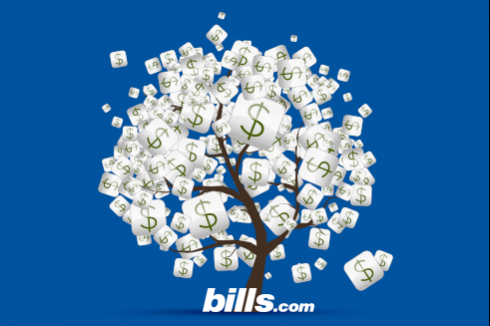 Try one of Bills.com’s pre-screened debt relief partners to find a debt resolution partner matched to your needs. Your credit score and downpayment are important pieces of the puzzle, but they are only two pieces. Lenders look at an applicant’s entire picture when deciding whether to approve a loan. Because different lenders look at the picture differently, just because one lender denies your application does not mean all will. I hope this information helps you Find. Learn & Save.